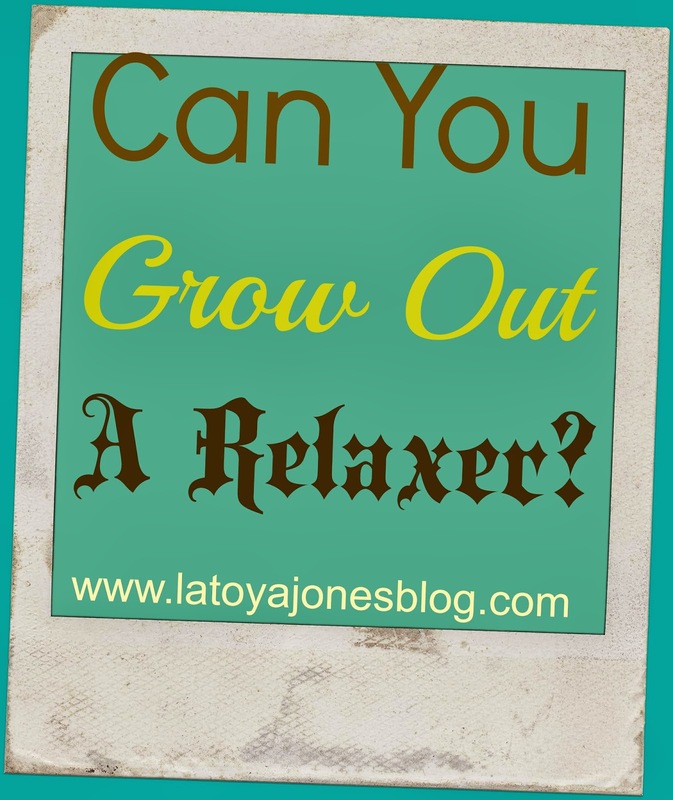 Does A Relaxer Grow Out Of Your Hair? Many women who are wanting to transition to natural hair have asked me how long does it take for the relaxer to grow out of the hair. The truth is that the relaxer does not "grow out" of the hair. 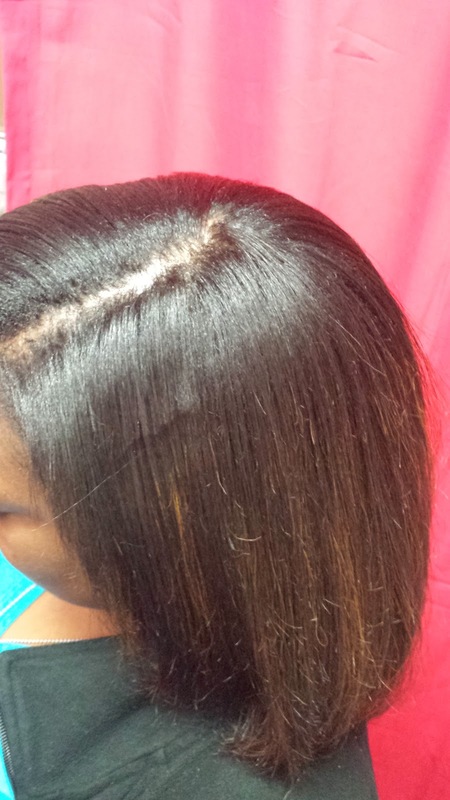 It is a permanent chemical which permanently alters the hair to be straight. If you are wanting to not do the big chop, but instead transition into becoming natural, your relaxed hair will not magically just grow off of the ends. 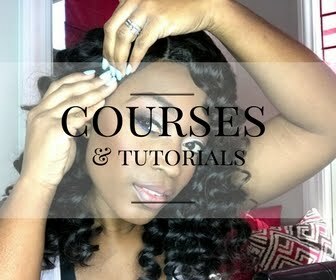 What happens is that as your hair grows and you have more new growth coming in your relaxed hair grows with it. To get rid of the relaxed ends, you would need to get a little bit trimmed at every service. 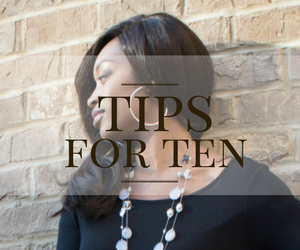 As you continue to do this, you will see less and less of your relaxed hair and more and more of your natural hair. Eventually all of your hair will have its natural texture. 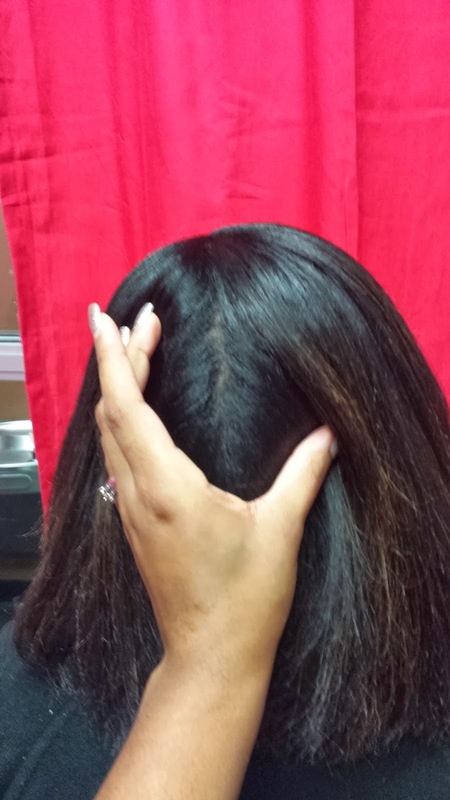 I had a client that asked me why it was taking her relaxed hair so long to grow out of her hair. 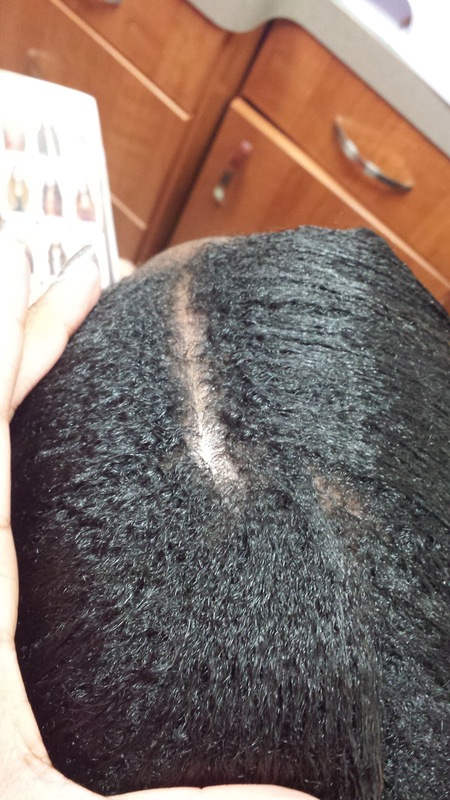 She hates getting trims so her natural hair is growing in, but her relaxed hair is not decreasing because she does not get the ends trimmed. 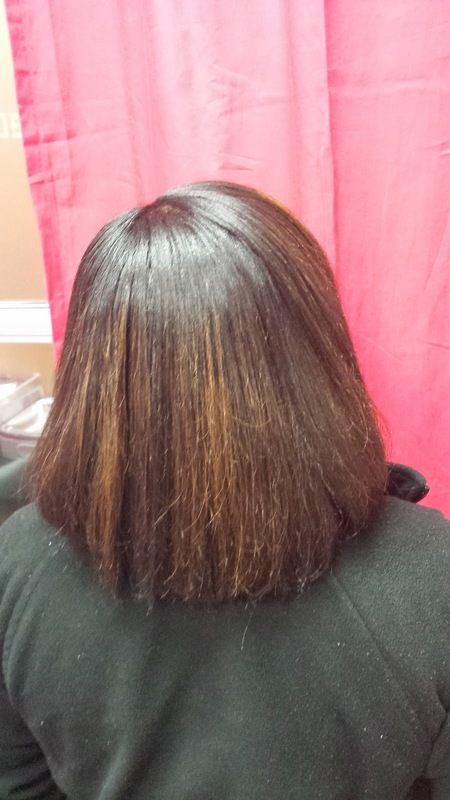 This client is about five weeks post relaxer. She is trying to stretch to about ten weeks in between. 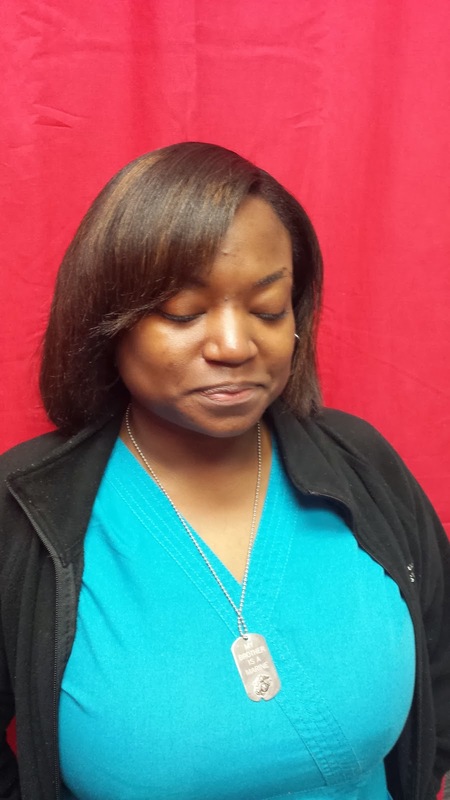 She came in to get her hair straightened so that she could maintain it for the next two weeks. The previous picture showed her new growth. So, as her hair grows, her relaxed hair is not "growing out", its just that her natural hair is growing in. The relaxed hair is not going anywhere unless she cuts it out. The same is true with hair color. The hair color does not grow out from the hair. It just simply grows down the hair shaft as the new growth, which is uncolored, grows in. Every time you get your hair trimmed, you notice that you see less and less color. If you were to never cut your hair again it would simply look like half the hair was colored and the other half was not. 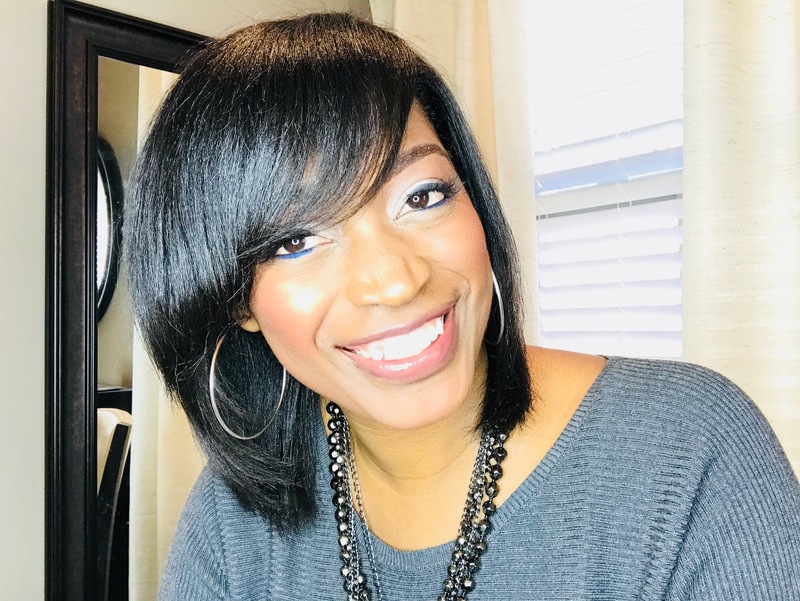 So, if you are interested in going natural but want to avoid the big chop, all you have to do is simply trim little by little during your hair appointments and in no time you will notice all of your hair is natural. It takes approximately one month for the hair to grow half an inch. 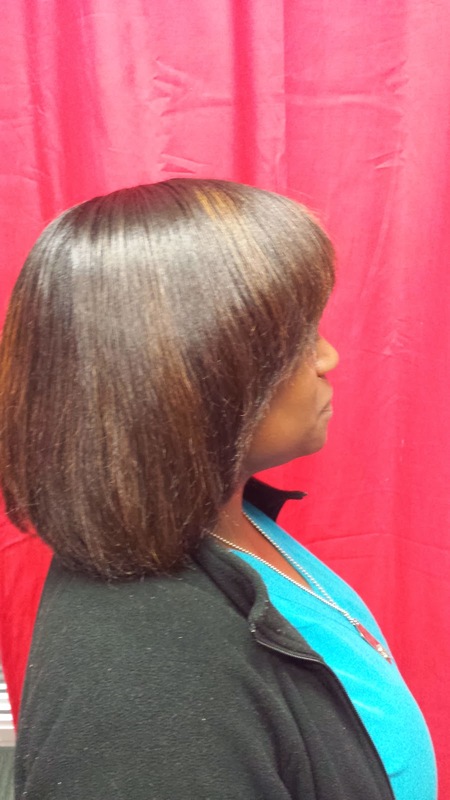 Therefore, it takes the average head of healthy hair about one year to grow six full inches. 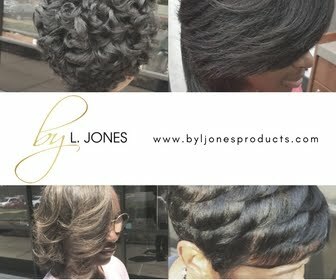 Remember, anything that you do to your hair that is permanent needs a permanent solution to get rid of it. It will not simply just disappear on its own!